There are about four miles of trails for equestrians, hikers and cyclists between Highway 805 and Beyer Boulevard beside the Otay River. Dogs must be on a leash. The trail extends west beyond Beyer Boulevard for hikers and cyclists only. The equestrian staging area is at the end of Mace Street, Chula Vista, 91910. Mace Street is located off Main Street, Chula Vista, West of Interstate 805. This is a new facility with parking for several rigs, horse corrals, a warm-up pen, water for horses and restroom facilities. The gates open half an hour after sunrise and close half an hour before sunset. It is open sunrise to sunset year round. 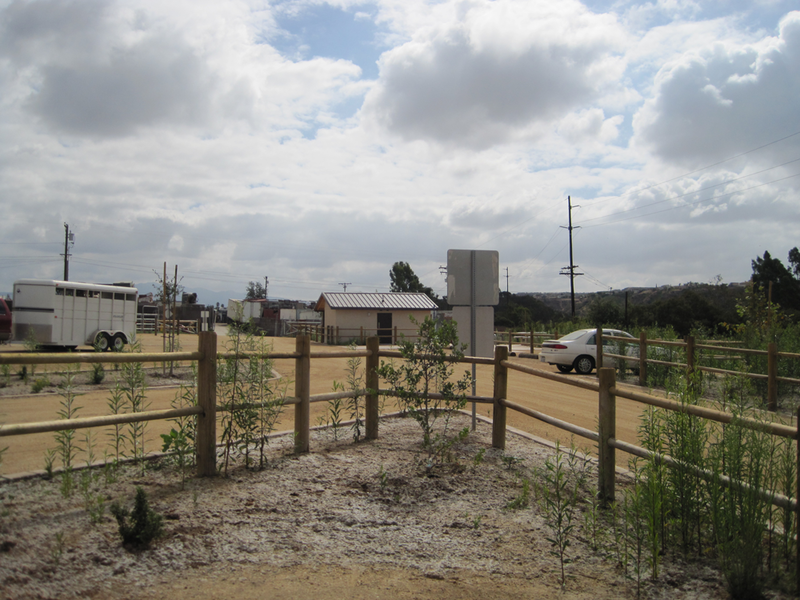 The equestrian staging area for the Otay Lakes County Park is at the end of Wueste Road in Chula Vista, beyond the ARCO Olympic Training Center, and south of Otay Lakes. You can reach it from Olympic Parkway or Otay Lakes Road. It is a beautiful staging area with plenty of room for rigs, some horse corrals, rest room facilities and water for horses. There is a $3 vehicle parking fee at the gate. The park hours are Monday to Friday, 9:30 am to 5:00 pm, Saturday, Sunday and holiday: 9:30 am to sunset. This is a 78-acre park, but there are only about two miles of easy to moderate equestrian trails. The remaining trails toward Proctor Valley are positively challenging. It is frustrating that from this site you can see miles and miles of excellent easy trails, but they are currently fenced off. However, there are plans for this trail to extend westwards to the Otay Valley Regional Park and eastwards towards Jamul and the California Riding and Hiking Trail, at which point, this will be well worth a visit. The trails are well-constructed and maintained. There are a couple of narrow bridges to cross, but these can be avoided. 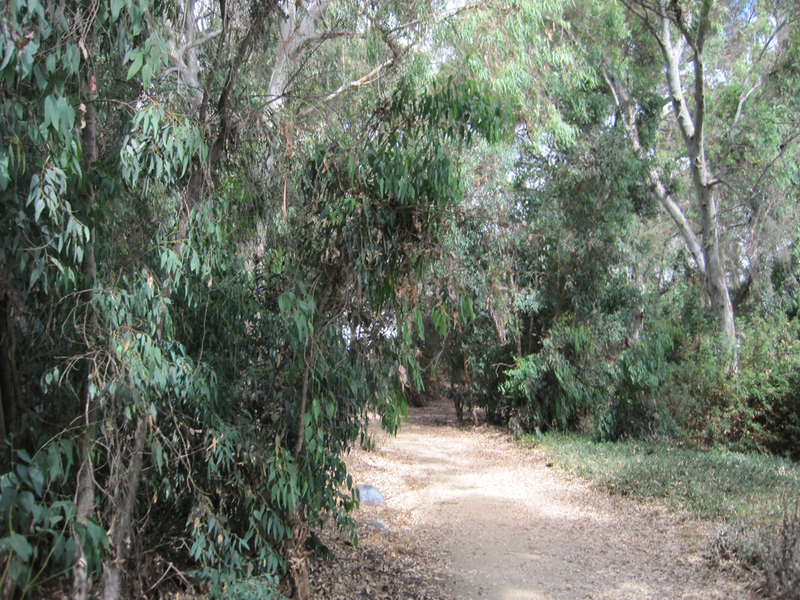 The trails pass along both sides of Otay River. This is truly a rural trail in an urban setting. As you drive down Mace Street, you pass auto repair shops and other industrial businesses. The beautiful new staging area is unexpected. Along parts of the trail, you get glimpses of the urban surroundings, but, for much of the route, it is a quiet rural environment alongside the Otay River or through glades of trees. The trails have been in existence for some time, until the summer of 2010 there was no access for horses. 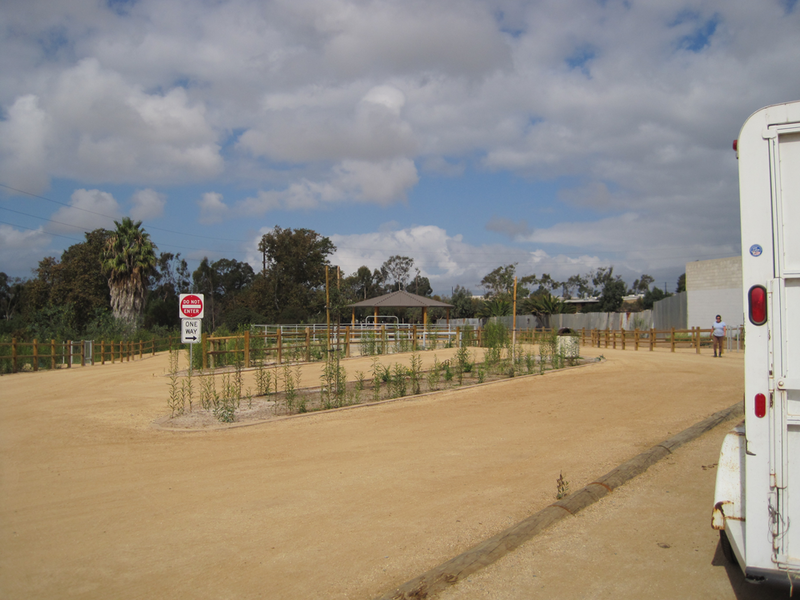 The staging area is a partnership between San Diego County, which built the facility, the City of Chula Vista, which owns the property and the City of San Diego which will maintain the area. 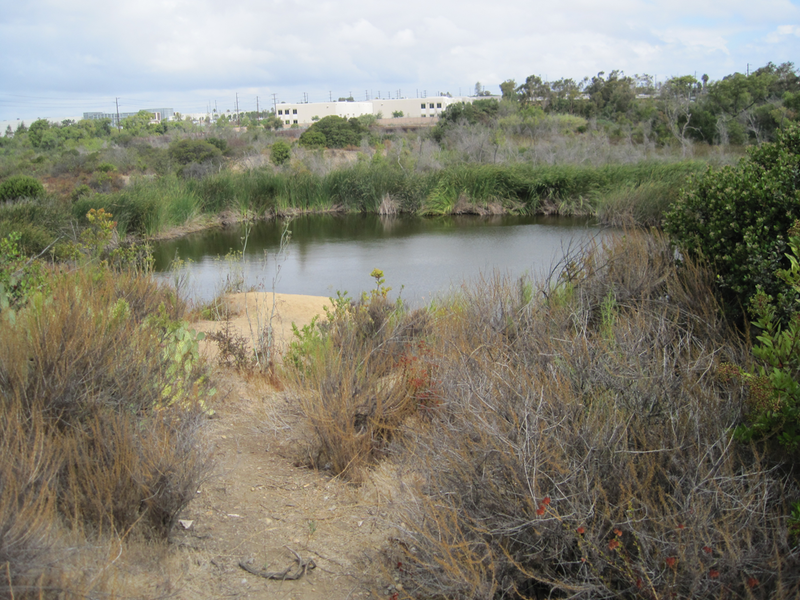 There are plans to extend the trails east to the Otay Lakes County Park and then further east.